Here's How You Can Make $148.50 Per Sale! Here's Your Invitation To Join Me In Launching The Six Figure PLR Academy And Earn 50% Commissions On The $297 Enrollment Fee! Hey there! Liz Tomey here and I'd like to invite you to support me on launching my Six Figure PLR Academy Coaching Program. Since 2005 I've been creating and selling PLR packages and now I'm going to teach your customers how they can do the same thing. Not only that, but I'll teach them how to build a real six figure business in the PLR niche. Absolutely everything is included here... Your customers will be shown every single step I take to create a PLR package and launch it, and then they'll be shown how to build a business foundation in the PLR niche so they can start building their list, launching more PLR packages, using affiliate marketing, and so much more. Right now is the time to start warming up your list, and getting your readers "cookied" with your affiliate link. I've created 5 different videos that will go out from now until July 10th with the enrollment page opening up on July 11th! Your readers will have the chance to enroll in the Six Figure PLR Academy at the discounted price of $297 and you'll be paid an instant 50% commission ($148.50 before JV Zoo fees) on any of your leads that enroll! The price will rise to $997 at Midnight on July 13th and you'll then be paid 50% commission on the regular price ($498.50 before JV Zoo fees)! This is a great launch to get in on because you're telling your readers about a great resource for them to start building a real business, and you make great commissions for doing so! 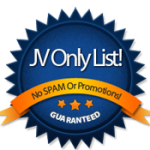 Get Your Affiliate Link From JVZoo! [PLR Academy] The PLR Difference… The Profit-Plan! PLR (private label rights) has been a really hot topic for years now. 2. You need to have a plan to profit with either side! So, PLR pioneer Liz Tomey has created a short little video to help you understand the different sides of profiting-with PLR AND is going to show you plans to help you profit-with PLR! Liz has been creating, selling, and using PLR since 2005, and was one of the very first to bring PLR to Internet marketers. She’s got a lot of great information to share with you that will help you and over the next 5 days is releasing a series of “mini workshops”. Pay attention because even though this is free-content you’re not going to believe how much information, strategies, and systems Liz just freely talks about and teaches! I’ll send you a link tomorrow to the next one, so keep an eye on your email. You’re going to want to save all of this information to USE for serious profits-with PLR! [PLR Academy] New 39k Mini Workshop Is Now Online! If you haven’t heard the buzz about these “mini workshops” Liz Tomey is releasing I want to give you a heads up about them because today she released a KILLER one! It’s just over five and a half minutes, but it’s packed with gold nuggets! You see since 2005 Liz has been creating and selling PLR content packages, and made big-bucks doing so. In 2013 she started teaching others to do it. As a matter of fact many of the people you see creating and releasing PLR content packages learned from Liz. So in today’s mini workshop she’s going to be showing you some proof of what creating and selling PLR has done for her business, and then she’s going to show you how you can make your income-explode as a PLR content creator! Wait until you see where she shows you about-making over $39,000 with ONE PLR content package! [PLR Academy] She’s Revealing The Whole System At No-Cost! Liz did a webinar and revealed every single detail about her system she uses to create and sell PLR content packages. Yesterday she shared with you how she made $39,000 with one PLR content package, and today she’s diving deeper into that and telling you EVERYTHING you need to know to create your own! This mini workshop is about 39 minutes long AND comes with a downloadable worksheet you can use too. If you want to create and sell your own PLR content package, and make a huge paycheck-doing so do not miss this! [PLR Academy] Live Examples Of Big-Money Ideas! And for the last 4 days I’ve been telling you about these mini workshops that Liz Tomey has been releasing all about making-bank with your own PLR content packages. There has been some killer information released… Especially yesterday when Liz showed her entire system and how she makes-money as a PLR content creator. Pay really close attention at the end… She gives FOUR examples of BIG money ideas! These really blew me away! [PLR Academy] 8 Ways To Cash-In With PLR! And I just got word from Liz Tomey that she has released her last mini workshop before opening the doors to her Six Figure PLR Academy tomorrow (July 11th at 9am Eastern)! This mini workshop shows you 8 different ways to make-money with your own PLR business. You don’t have to stop and just creating and launching PLR content packages. There are MANY other ways to make-money with your own PLR business, and Liz goes into detail all about it in this last mini workshop! Now tomorrow is going to get absolutely crazy when Liz opens the doors to this workshop. Several people are telling their lists about this, people are talking about it all over Facebook, etc. There are only going to be 100 spots for the Six Figure PLR Academy. So when you get the email in the morning about this being open jump in with both feet! Alumni from the last Academy she did are raving about this, and I’ve seen people talking about this all over the place, and I don’t want you to miss out on this opportunity. There is no other coaching program out there like this… Liz truly takes you by the hand and shows you absolutely everything you need to know to create your very first PLR content package and launch it for a big-paycheck! I’ve also heard there’s some killer bonuses. 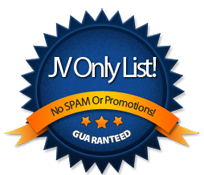 One of them is a promotion to Liz’s list when you create your first PLR content package. I’m talking about a promotion to her entire list! That alone will make it worth whatever price is on this program! Go see what Liz is teaching in this mini workshop. You’re going to learn a ton of killer information about 8 ways to amke-money with this business model, and then tomorrow be ready for the doors to open to her Six Figure PLR Academy Coaching Program! SUBJECT: Six Figure PLR Academy Is Live! I’m going to keep this as short as possible because the buzz about Six Figure PLR Academy has been going on for days now and there’s only 100 spots available. Liz Tomey has been creating and selling PLR content since about 2005 and she’s put together a hold your hand coaching program showing you EXACTLY how she did it and then helping you to do the same thing. She’s going to show you everything she does to create a $2000-$5000 (and sometimes even more) paycheck each and every single time you release a PLR package. Imagine having that kind of pay-day? Not only that, but you just can’t fail with the crazy bonuses she put into this thing either! One of them is where she will promote the PLR package you create in this coaching program to her entire list of over 40K subscribers. That’s a heck of a boost just to get you started! And there are so many other ways that Liz teaches you to make-money with your own PLR business too! As I said… There are only 100 spots left and for the next 3 days only you can save 70% off the regular price to get into this coaching program! And if you haven’t heard about the Six Figure PLR Academy yet listen up because Liz Tomey has created a system that she will coach you through where you can create $2k-$5k paydays over and over again! SUBJECT: Six Figure PLR Academy Closes Today! And for days now I’ve been seeing so many people talk about Liz Tomey’s Six Figure PLR Academy where she will coach you through creating your first PLR content package and make your first $2k-$5 paycheck from doing so! Alumni from this Academy just go on and on about how in depth Liz teaches, the success they’ve had from it, and how even AFTER the coaching program Liz is still there helping them! It’s truly refreshing to see someone teaching something that WORKS and then actually HELPING people do it! Today is your last chance to get in at the 70% discount, and there are only a few spots left so I don’t even know that you’ll be able to get in at all pretty soon. After tonight the price goes back to the regular price if there are any spots left and you’re going to be paying 70% more, so make sure you check this out right now! When you see what Liz is teaching, how much she’s helping you, and then the price she’s offering this at you’re going to be blown away, but as I said… NOW is the time to grab your spot! I’m going to keep this really short! Liz Tomey’s Six Figure PLR Academy only has 6 more hours left before the price goes up by 70%! If you want to build a PROVEN business model and learn from one of the best coaches in the industry on how to do it WHILE having her HELP you do it, then take 5 minutes right now and see what she’s offering! PLR (private label rights) is one of the biggest sellers online and there’s a huge demand for it! You could be filling that demand and making $2k-$5k each and every time you do it! Don’t miss out on this! You’ve got 6 hours to jump in (if there are still spots left), and I don’t want you to miss out on this kind of opportunity. Take 5 minutes, read what Liz can do for you, and then jump in!